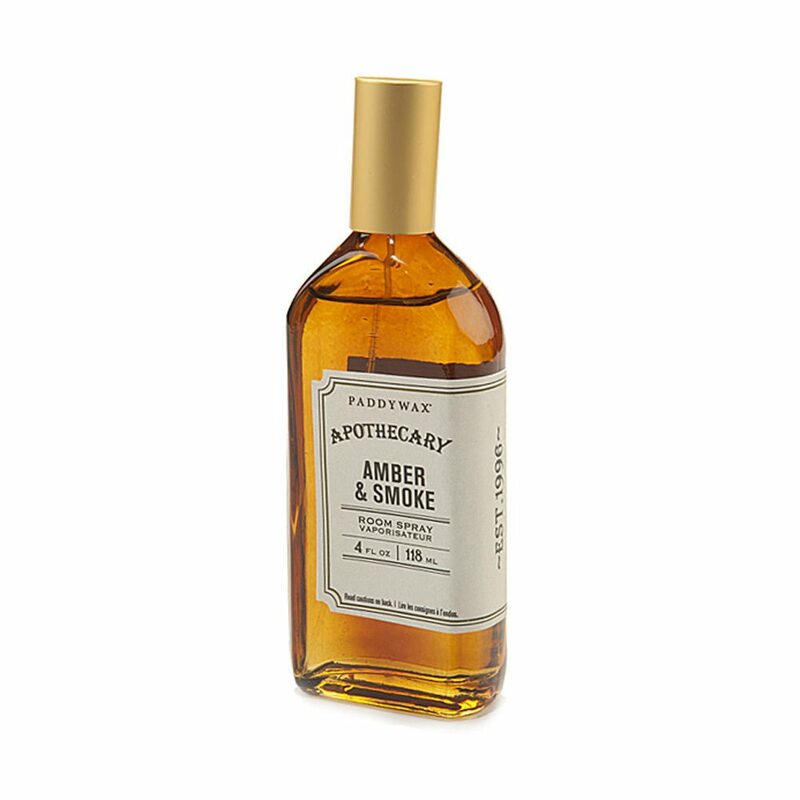 Paddywax Amber & Smoke Room Spray is amber & smoke fragrance notes, hand-poured into a vintage-inspired spray bottle. 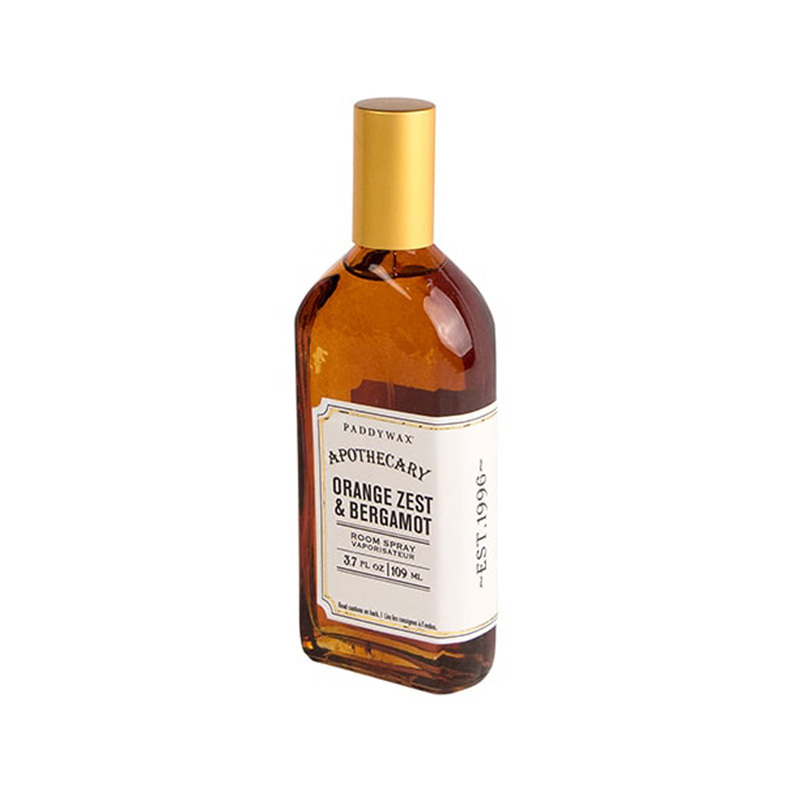 Paddywax Apothecary Candle Collection includes old world Apothecary bottles in deep amber, gold travel tins & vintage-inspired room sprays, all filled with the perfect remedy of fragrance blends. Paddywax Orange Zest & Bergamot Room Spray is refreshing orange & tart bergamot fragrance notes, hand-poured with Paddywax signature soy wax, into a vintage apothecary bottle.